See how we have given our patients their dream smile! Here at Hawthorne Dental Associates, we believe that beautiful smiles make for a brighter day. Our team performs both general and cosmetic dentistry, and have helped give many patients their dream smile. Located in Hawthorne, New Jersey, we’ve been helping people in the area for over 20 years and are passionate about creating healthier, more inviting smiles. 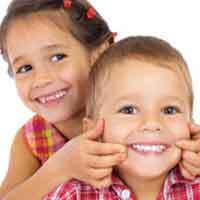 We provide comprehensive family dentistry services at our practice. This means each and every client leaves with a healthier mouth and more beautiful smile. This type of dentistry can greatly improve the appearance of the teeth and gums. As a result, it gives patients tons of self confidence. The goal at our practice is to give your children the best possible care, all while creating a warm and welcoming environment where they feel relaxed. Invisalign is the leader for clear brace solutions. 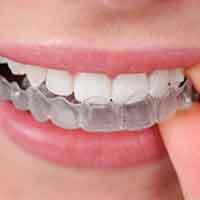 It’s an aligner tray that is smooth, comfortable to wear, and almost invisible. Our team thinks of our patients as family and very close friends. We care deeply about each and every patient that comes in, which is why we strive to provide the highest quality care and an individually focused experience each time. All you have to do is give us a call to join our dental family! Even if you’re a first-time patient, you can call now and we will schedule you right away. We all know that going to the dentist regularly is important for great oral health. While brushing, flossing, and rinsing regularly at home will help you to keep up your oral health, dental visits are still hugely important. You will usually lack the tools and expertise to get below the gum line, survey any hidden problems with your teeth, and fight issues like tartar, plaque, and other problems that require professional skills to deal with. We will take most insurances, but it’s a not a problem if you’re not yet covered. We offer exams, x-rays, and cleaning for just $59 to all new patients. Our practice is a relaxed, high tech environment that patients always feel at ease in. Our practice offers everything; from general dentistry, oral surgery, children’s dentistry, dental implants, cosmetic services, to a simple check up. We can meet all of your family’s dental needs, whatever they may be. If you’re interested in the professional, reliable services that we offer, we invite you to contact our offices today. A member of the team will be more than happy to give you more information and help you to set up your appointment. We’re very excited to meet you! We can help you make an informed decision when selecting a dentist. Here are some questions you can ask to see if a dentist is right for you. Hawthorne Dental NJ is always accepting new patients into our growing family of wonderful community members. While we accept most insurance, feel free to give us a call, and one of our staff members would be happy to assist you with making sure your dental insurance covers any needed treatment. Do you offer specialties beyond general dentistry? Hawthorne Dental offers a plethora of specialty dental services with a distinguished staff of doctors ready to meet the needs of unique dental cases. Give us a call to schedule a consultation in order to find out if our specialty dental services are right for you. When you become a patient, we will set up a schedule of treatment that includes regular cleanings. These could occur every 3 months, 6 months, or annually depending on your age, oral health, and other factors. A typical check-up includes an oral examination, cleaning, and in some cases, x-rays. It might also include extras like an oral cancer screening or periodontal depth test. You'll also have access to a wide variety of other general and specialty services. Our team will create a detailed treatment plan to ensure that you can make proper use of our offerings. If you are interested in cosmetic treatments such as teeth whitening, Hawthorne Dental has you covered. Give us a call to schedule an appointment today! 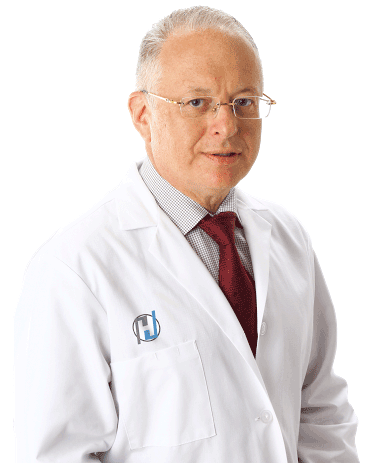 Dr. Rosenson has been mastering his craft for over two decades. You can count on his experience and dedication for the most excellent dental care available. Is ongoing education important to your practice? Our staff is dedicated to being the best at what they do, and that involves constantly seeking further education. Our team is always researching the latest and greatest in the ever evolving dental technology industry, as well as receiving hands on training to achieve perfection in their field. What guidelines do you follow for safety and sanitation? We go above and beyond to meet and exceed the safety and sanitation standards in the dental industry. Investing in the latest sanitation and safety technology allows our office to be at the forefront of cleanly and safe care. Why is Hawthorne Dental Associates the best dentist for me? Our goal for all new patients is to make you feel comfortable, and earn your trust with exemplary service and a family-like atmosphere. Come in for a Free Consultation today, discuss treatment, cost, and other questions with us first hand. We guarantee the treatment you receive will be top-notch, and affordable too! Welcome to Hawthorne Dental Associates. You've found the right dentist. "Great service! Everyone is a pleasure to deal with. Dr Rosensen is a true expert that makes you feel comfortable with any work that must be done." "Everything a person could every want i a quality dental practice. 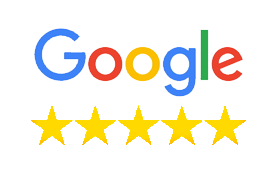 Prompt, courteous service…a wonderful, professional staff…if you need dental services, this is the place…look no further!!!"